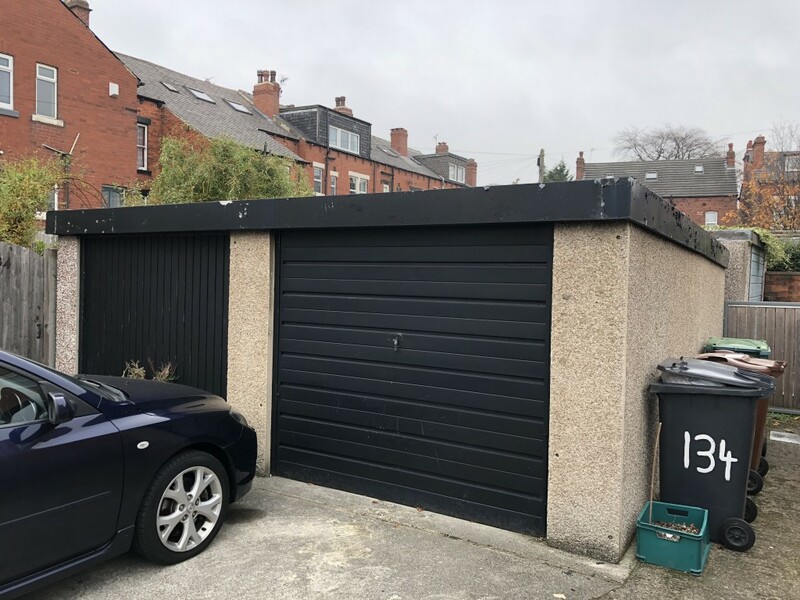 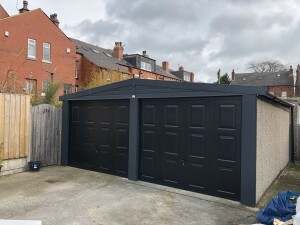 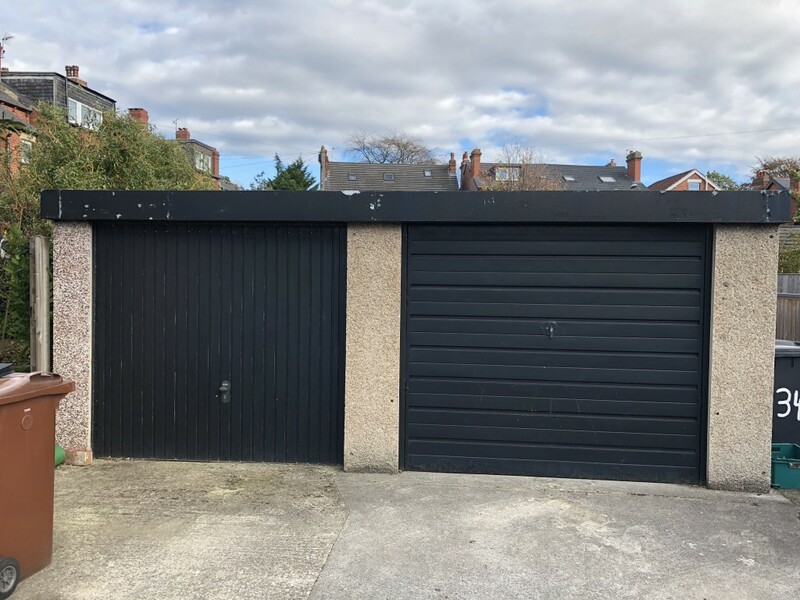 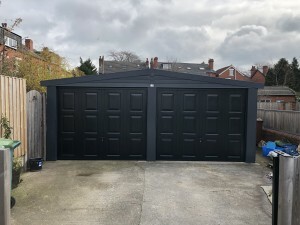 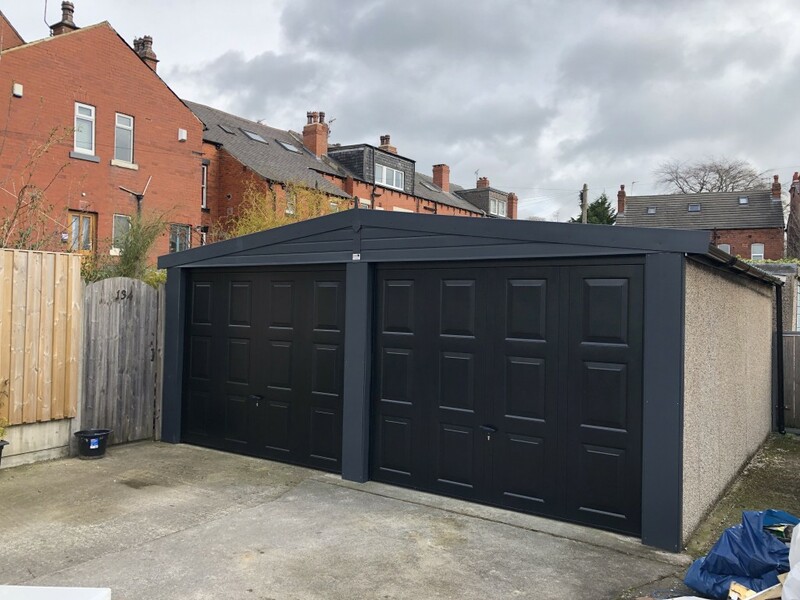 On this project we completely revamped a customers old sectional garage that had become unfit for purpose. 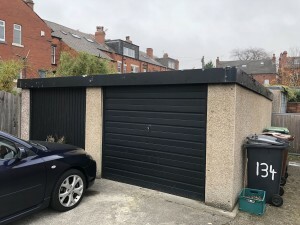 The original asbestos roof was leaking and had bowed. Both garage doors didn’t work and they were odd design and size.